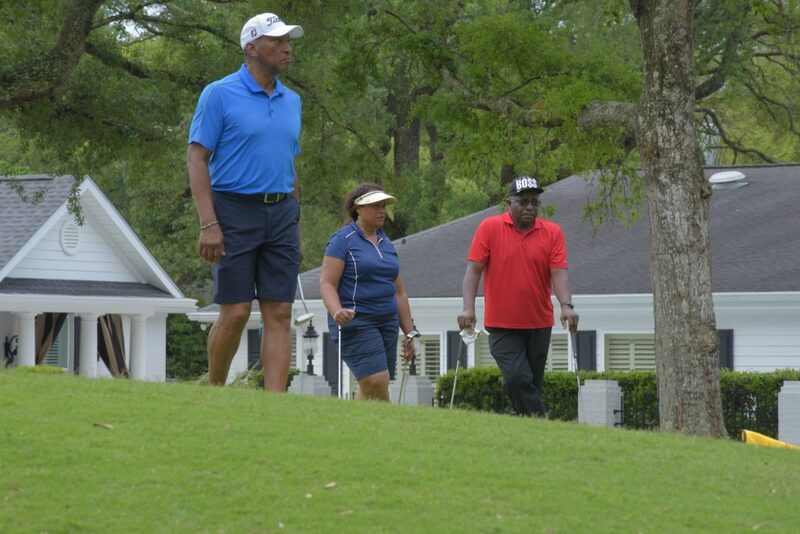 Sutton Golf Club based in Durham, NC was formed to provide golfers of all skill levels a fun and trustworthy means in which to play the game of golf. Our golfers have an insatiable love for the game and thrive on honest competition, building lasting friendships and networking. The Sutton Golf Club (SGC) is a non-land based entity allowing us to play exciting and challenging golf courses throughout the Carolinas and Virginia. Increasing interest and enthusiasm by the members, SGC joined the Carolinas Golf Association in 2007. COURSE RATINGS: Learn more about the CGA’s course measuring and course/slope rating service. USGA HANDICAP SYSTEM: The CGA provides the GHIN handicap service that is the most widely used system in the United States including a tournament management package called TPP (Tournament Pairing Program). A player crushes the ball on a par three hole. RULES OF GOLF SERVICES. CGA Rules of Golf workshops are conducted throughout the Carolinas each spring. Additionally, CGA member club can request a Rules of Golf presentation for their membership. SUTTON GOLF CLUB: membership would provide a means to participate in charity events as an organization discount rates at select golf courses.